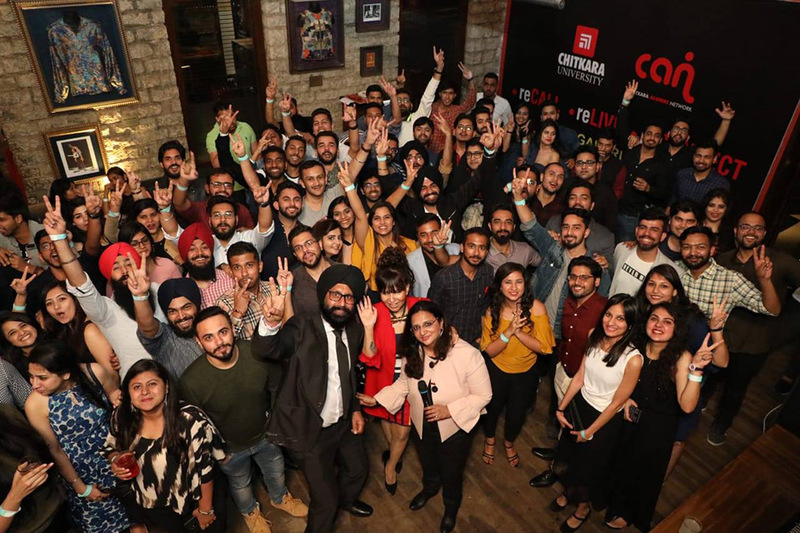 It was a nostalgic trip down the memory lane of Chitkara University with Reflection 2018, the Alumni Meet, Bengaluru Chapter, at Hard Rock Café on November 24, 2018. The event was a huge success and there was an overwhelming number of alumni who made it a memorable event. More than 225 Alumni reconnected as they spoke about stories & moments that were almost forgotten, and expressed their gratitude to their Alma Mater for ensuring their success and making them what they are today. The Alumni seemed enthralled and excited to meet with fellow graduates and the faculty members. Now, maestros of the Corporate World, they were proud to learn about the achievements of their Alma Mater and came forward to support/guide the University with different inputs/suggestions for a way forward towards greater heights of excellence. The alumni offered to lend their support in inventive ways – as mentors, helped secure an internship, be a guest speaker, etc. The fun and excitement of the party were visible on every face and it led to some emotional moments as well. The meet included some interesting ice-breaking activities after which the crowd took a trip to memory lane and revisited their time in the University. The evening turned into a high energy party that soon engulfed everyone. The music, dance and lots of catching up those memorable moments made the party a memorable one. As understood from the famous words of Winston Churchill, “We make a living by what we get, but we make a life by what we give” – Chitkara University alumni have been making a big impact with what they ‘give back’ to the University. We are thankful to them for getting involved and staying engaged by lending their support in creative, personally meaningful ways that have always inspired and contributed to shaping the future of this great University.